Green will be the flavour of Australia in Washington D.C. as the country’s environmental credentials will be on show in the heartland of US politics when construction begins in 2020 on the new Australian Embassy. The Green Building Council of Australia (GBCA) has announced that the project has been formally registered with its world-leading, voluntary rating tool – Green Star, as part of a collaboration with the Department of Foreign Affairs & Trade (DFAT). The new building has been designed by leading architecture practice, Bates Smart and global engineering firm, Aurecon and will feature arrange of innovative environmental design solutions. GBCA CEO Romilly Madew says the building’s green focus represented a great opportunity for Australia to showcase its global leadership in sustainable design, construction and products. “This building will stand as a bricks-and-mortar demonstration of Australian industry sustainability foresight and leadership,” says Madew. “The Australian Government’s commitment to achieve a Green Star rating for the new embassy demonstrates leadership in sustainability, showcases our industry’s talent for sustainable design to the world and sends a strong signal we take our commitment to the Paris climate change agreement seriously,” she says. 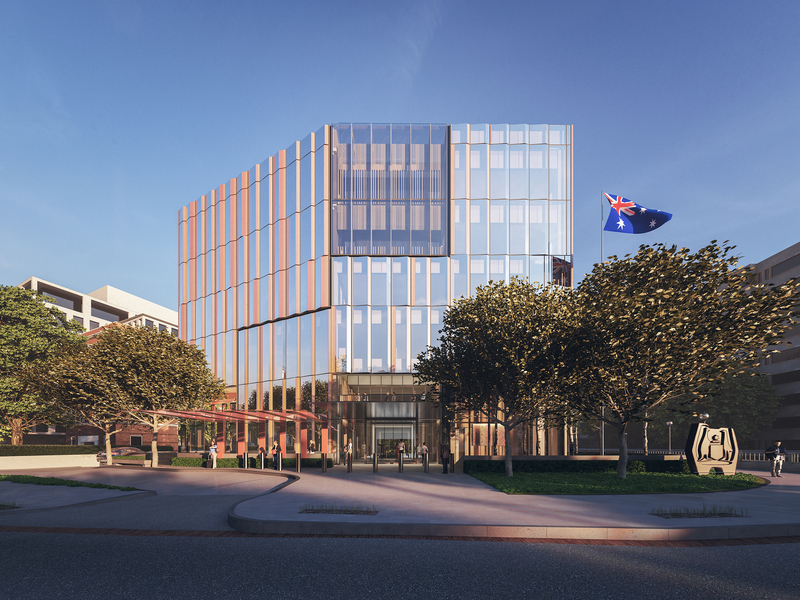 The new Bates Smart-designed embassy will replace the existing 1960’s structure in Washington’s Diplomatic precinct and will include state-of-the-art design features and use of Australian materials where possible. It will also target US standards set by the US Green Building Council’s Leadership in Energy and Environmental Design (LEED) certification. The sustainable design features will include a green roof featuring a large solar power system, central daylit atrium, end-of-trip cycling facilities, electric vehicle charging, a high-performance thermal efficient façade, zoned air conditioning with heat recovery and water capture and reuse. The new embassy is expected to be completed in 2022.